Khalid, 7 years old, sits outside of the medical tent of a us military base after elders from a village claimed he was injured byshrapnel from a bomb dropped by the americans near his home. american forces admit to dropping a bomb in the area, and say the boy was most likely injured in the attack, but can not confirm 100%. 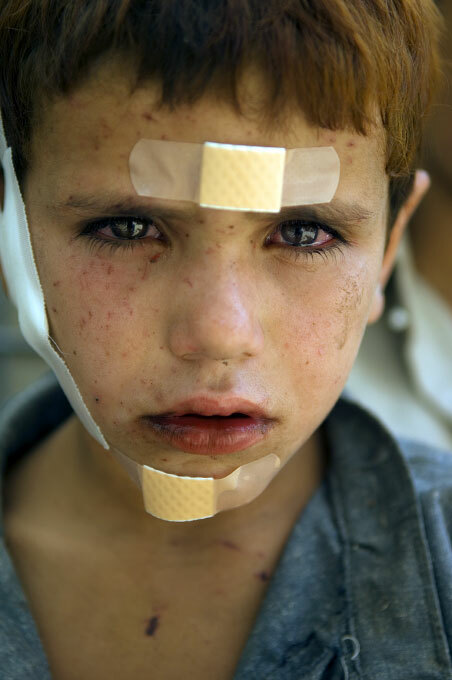 civilians throughout afghanistan have been victims of both taliban attacks and united states bombs. October 2007.